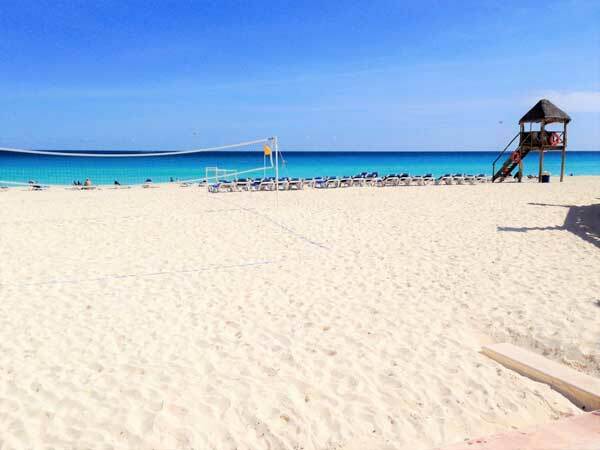 A Fairytale Beach Life in Mexico For Half the Cost of the U.S.
As I write about my life here in Cancún, Mexico, it seems like a fairytale and yet, it’s very real. The first thing I see every morning, even before getting out of bed, is a clear, unobstructed view of the shimmering, aquamarine Caribbean Sea…just beyond the pool. Pelicans air-surf the ocean breezes, soaring silently above the gentle waves. Occasionally, one will fold its wings tightly against its body and plunge headlong into the foamy brine to collect a shimmering fish. Gulls skitter along the sand finding plenty to eat as the waves deliver their tiny portions and then recede, until the next delivery. Watching this activity is my regular morning entertainment as I drink my first cup of coffee. But there is more to living in paradise than a perpetual vacation on the beach. There are bills to pay, shopping to be done, clothing to be dry-cleaned, and the Jeep needs an oil change. Building a full-time life in paradise also means finding good doctors and dentists, insurance agents, a good auto mechanic, and a seamstress, while making new friends in a new language; things that 5 million annual tourists never need to consider. Fortunately, all this is easily accomplished in Cancún, a modern city of some 750,000 people. Cancún provides all the comforts you would expect from a 21st century city. Modern hospitals, excellent and affordable medical care, over 700 restaurants, world-class shopping, warm tropical weather, solid and functional infrastructure, and a system of paved roads make expat life here very agreeable, and smooths the way for transitioning expats. If you seek a small, walkable village filled with authentic Mexican or Maya culture, Cancún isn’t for you. For that, you’ll need to take a beautiful, hour-long drive, outside the city, where traditional Mexico awaits. Cancún sits on the eastern coast of Mexico’s Yucatán Peninsula and is the gateway to the famed Riviera Maya. With a bustling international airport and a vibrant public transportation system, Cancún has earned its well-deserved reputation as an iconic destination and has also garnered its position as a credible expat haven, as well. 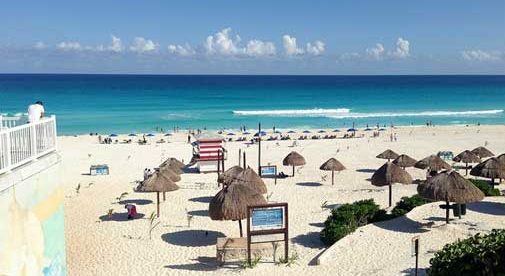 While not the cheapest expat refuge, Cancún certainly provides great value for your money. Like all great coastal locations on the planet, housing closest to the shore is more expensive, while moving a bit inland always costs less. That said, property prices on the beach in Cancún are quite reasonable and the overall cost of living in Mexico—even in Cancún—is often 30% to 50% less than a similar lifestyle north of the border. My wife Diane and I, are among many expats who choose to rent rather than purchase our home. We have a 1,500-square-foot, three-level penthouse condo, with a private roof terrace. The two master bedrooms each have private bathrooms, one with its own private terrace overlooking Nichupte Lagoon, and the other with a stunning view of the Caribbean. There is a third bathroom that also has laundry facilities. We also have a nice kitchen and sizeable living room. The place came fully furnished, including all appliances, pots, pans, silverware, and dishes. We negotiated a monthly rate in pesos which fluctuates between $900 and $1,100 monthly depending on the exchange rate. Similar units in our complex sell for between $165,000 and $215,000 depending upon condition and upgrades. Smaller units can be purchased for around $100,000 to $125,000. Move away from the beach and nice condo units in the el centro (downtown area) can be had for about 30% less. I recognize my good fortune. As International Living’s correspondent for this region of Mexico, I’ve seen much of the country. And while we intentionally maintain shallow roots, and could certainly move elsewhere, Cancún offers a quality of life at an economy unattainable north of the border and, for now, is exactly where we want to be.